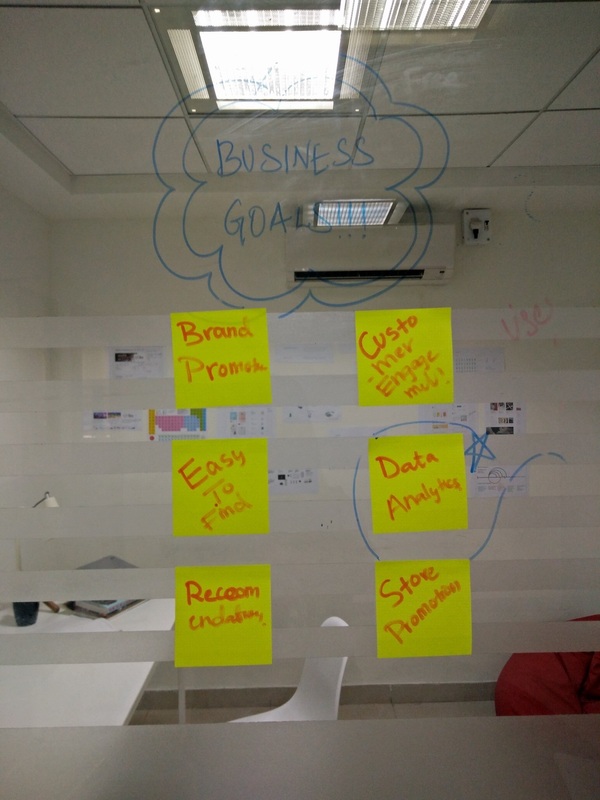 Every time there is an idea comes in, we brainstorm to find the solution for it. We sit in small, scattered groups and cover our office with sticky notes stuck everywhere possible and all kinds of markers lying on the floor. When we brainstorm, we put our heads together to get a clear understanding of even the tiniest thought relevant to the idea. When everybody as a group thinks aloud, we get so many a different perspectives all culminating into the same idea - this way one idea gets broken down into many tiny pieces. Each piece will talk about one way of looking at the idea. The group always consist of a mix of people dealing with different walks of life. 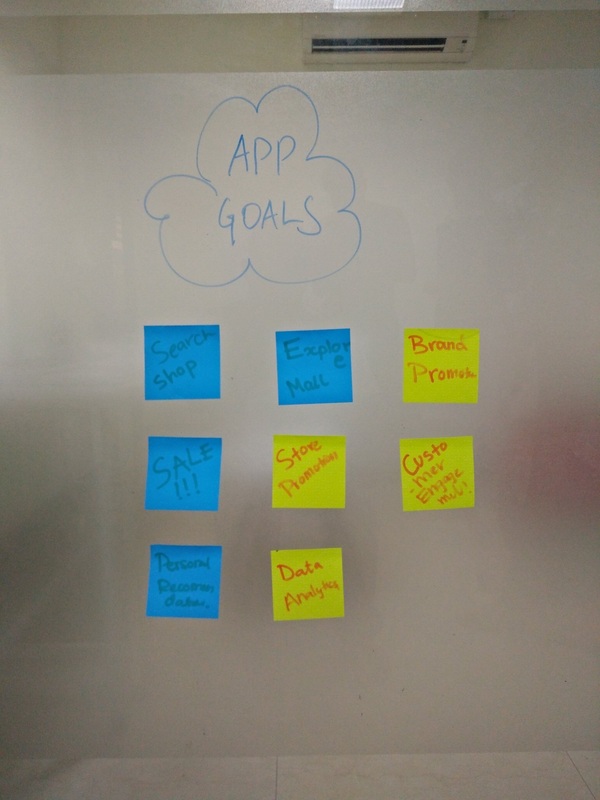 This way we brainstorm a larger, specifically targeted user experience and trying to cover everyone’s expectation. The second user goal is to filter shops having an ongoing sale. There are a few people who go into the mall to shop only at stores offering discounts. 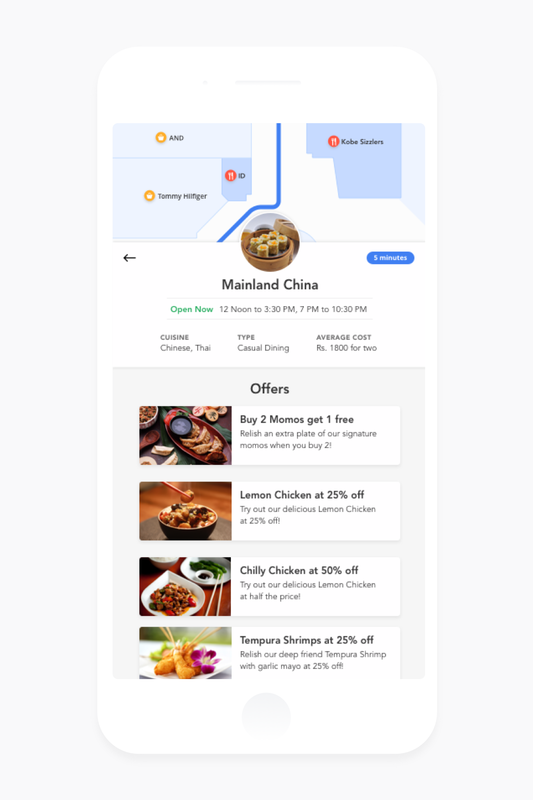 By displaying all the stores offering discounts in the home screen, it will be easy for the user to track these particular stores. 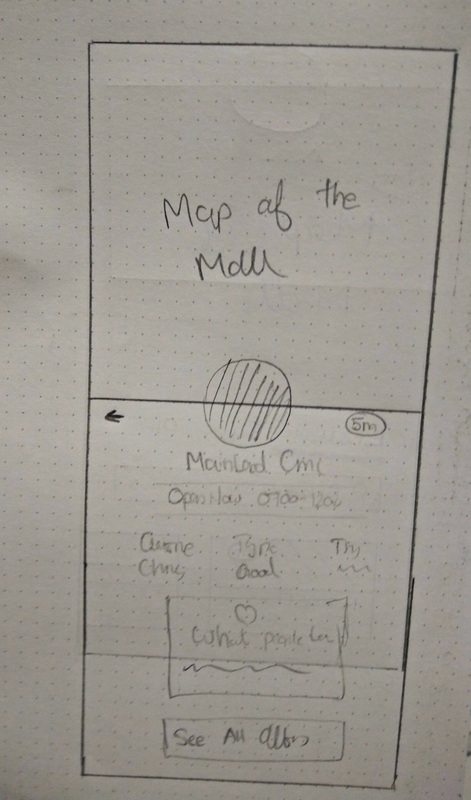 Meet Up - this is our third user goal. A friend might want to meet you. A business person may call to catch up with you or you might even have a date! In such cases, it will be easier to find the person if they give you a landmark as to where they’re near and then you can go and find them. Food: All of us love food. We get hungry, we go in search of places to eat at. But what if you don’t have a particular eatery in mind? Then we go to a mall! The mall’s food courts are filled with all kinds of restaurants offering different cuisines so there’s plenty to choose from! Entertainment: Shopping malls are filled with gaming spots, theatres, scare houses, and many other fun places to visit. Exploring: When you have nothing to do and there’s no particular place in mind, you might visit the mall to just walk around and browse the stores to see what’s available. Personal Recommendation: This recommendation is based on the trial you followed during your previous visits. Since you’ve already been there, it now becomes easier to track your favourite stores and the whole task is less time consuming. Chilling: This can be just walking through all the mall stores and the moving along with the crowd to chill around with your friends or with your family. The ones that we have listed here are some of the major user perspectives when they go to a mall. Brand Promotion: The primary aim here would be to promote the brand. Promotion can be done in many ways - the only goal with promotion is that it has to attract customers to that particular store. Customer Engagement: Keeping the customers engaged is going to make them stay in the mall longer. This will allow them to explore more stores thereby increasing the visits and profit of each individual store as well as the mall owner. Easy to find: Discoverability is one of the missing, troubling factor in many malls. By making stores more visible and easier to find, the customer will not spend too much time searching for them - this will give them ample amount of time to do some proper shopping. Data Analytics: Data which shows the statistics of the customer visiting the store will help the store owner identify and analyze the time and source from where the user incoming is higher. This way he can increase by applying the same tactics to attract people all throughout the year. Recommendation: To attract people of certain age group, it’s easier to concentrate on that particular age group by using the data gathered in the analytics stage. Store Promotion: Easier to promote stores by using spotlights in the offers page. 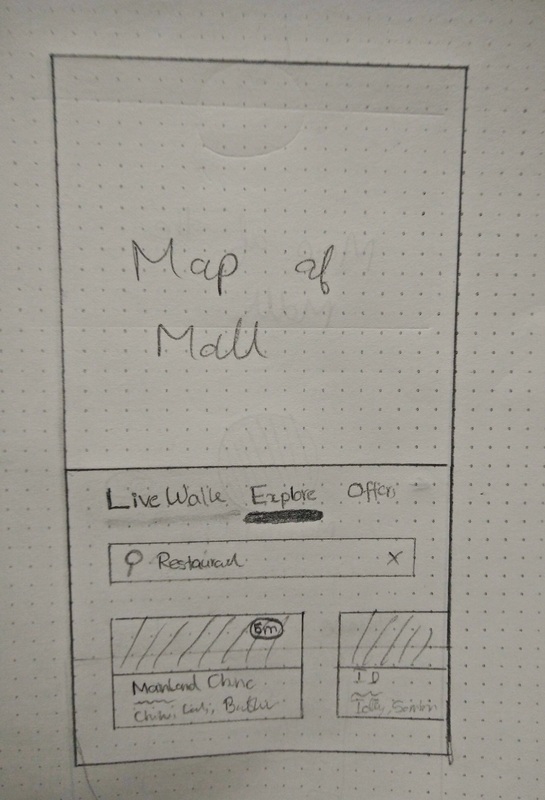 Search Store: This generic feature of the app will allow the user to search for stores and track the path to that particular store. It will help the user directly go to the store without any delay or detouring. Explore Mall: Exploring the mall by visiting random stores to check out the new products launched. 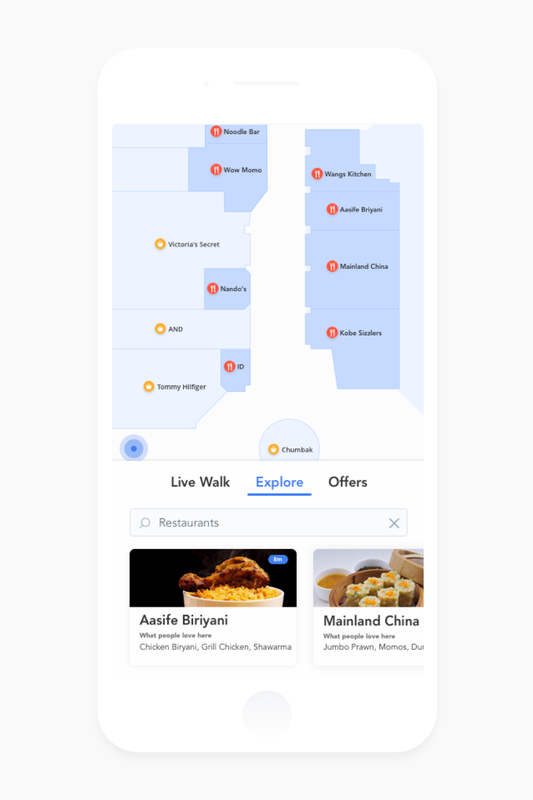 The app can track your trail and will let you remember the stores visited that you’ve visited in the past. Sale: The main page will list the offers featured in all the stores throughout the mall. This will limit the user search query if they are in search of a store providing discounts. Personal Recommendation: The app will recommend to the customer based on their past visits to stores. It can also help the store owners by recommending the age group that their products should be targeted at. Data Analytics: Data can be gathered from the user by storing and analyzing the path they take. This data can be about the frequently visited stores. It will also help the shop owners track the most busy hours of the store. 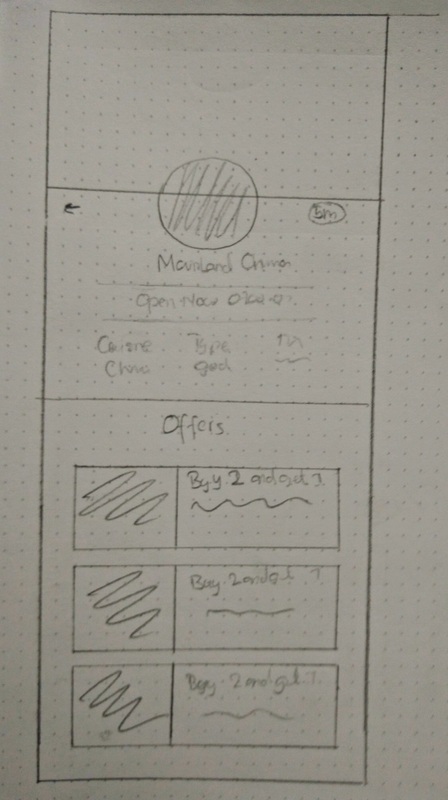 Wireframe is a visual guide that represents the skeletal framework of the app. 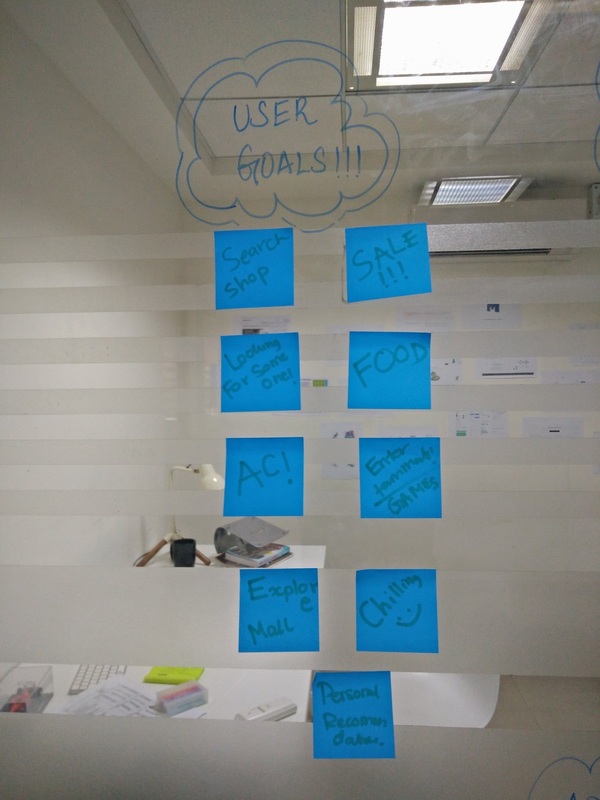 We use it to lay down the various elements on the screen to accomplish the goals that we’re trying to achieve. It helps us to quickly try out various solutions for the problem that we’re trying to solve here. A user would want to quickly look for various places like Restaurants, Clothing Stores, Book Stores et al. So, we had a search bar here. The results will be displayed as a card. We have taken restaurants as an example. Let’s say that you’re standing on a particular floor and you want to see what else is on the same floor. 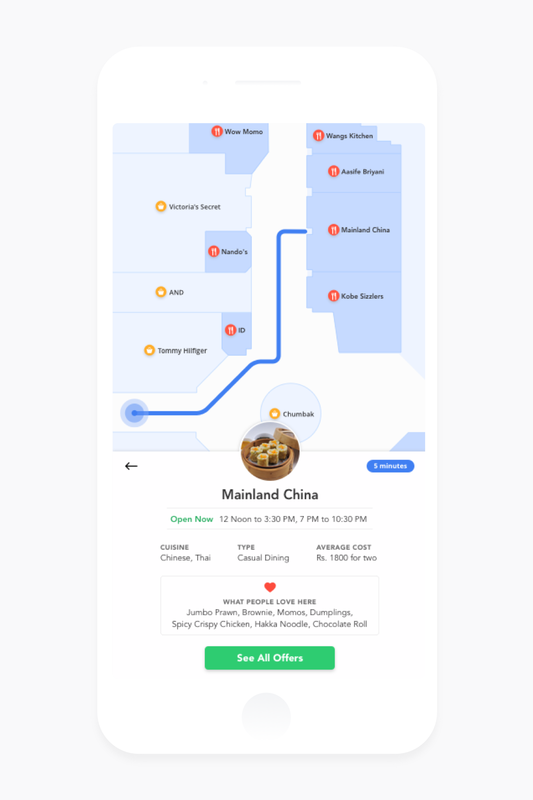 The app will show you all the restaurants that’s on the same floor and you can swipe to see more. From all the restaurants on that floor, you can pick one to explore more. So now that you’ve picked a restaurant, you can see the type of restaurant, cuisine and price. The timings of the restaurant, the offers and everything else will be listed so you can pick from one everything else that’s on the list.